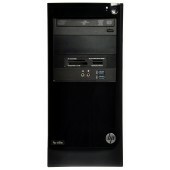 HP 7500Elite MT Core i3-3240,4GB DDR3-1600 DIMM(1x4GB), 500GB HDD 7200 SATA,DVD+/-RW,NO CardReader,GigEth,kbd,mouse opt,FreeDOS,1-1-1 Wty (HP)..
HP 7500Elite MT Core i3-3240,4GB DDR3-1600 DIMM(1x4GB),1TB HDD 7200 SATA,DVD+/-RW,CardReader,GigEth,kbd,mouse opt,Win7Pro(64-bit)+Win8Pro(64-bit)+MSOf 2013 trial,1-1-1 Wty (HP)..
HP 7500Elite MT Core i3-3220, 2GB DDR3-1600 DIMM (1x2GB), 500GB HDD 7200 SATA, DVD+/-RW, CardReader, GigEth, keyboard, mouse opt, Win 8 Pro (64-bit) + MSOf 2010 prel.St., 1-1-1 Wty (HP)..
HP 7500Elite MT Core i5-3470, 4GB DDR3-1600 DIMM (1x4GB), 1 TB HDD 7200 SATA, DVD+/-RW, CardReader, GigEth, keyboard, mouse opt, Win 8 Pro (64-bit) + MSOf 2010 prel.St. 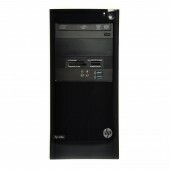 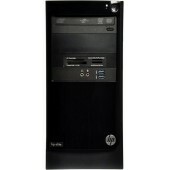 dwngrd to Win 7 Pro (64-bit), 1 (HP)..
HP 7500Elite MT Core i7-3770, 4GB DDR3-1600 DIMM (1x4GB), 1 TB HDD 7200 SATA, DVD+/-RW, CardReader, GigEth, keyboard, mouse opt, Win 8 Pro (64-bit) + MSOf 2010 prel.St., 1-1-1 Wty (HP)..
HP 7500Elite MT Core i7-3770, 4GB DDR3-1600 DIMM (1x4GB), 1 TB HDD 7200 SATA, DVD+/-RW, Wi-Fi, CardReader, GigEth, keyboard, mouse opt, Win 8 Pro (64-bit) + MSOf 2010 prel.St., 1-1-1 Wty (HP)..
HP 7500Elite MT Core i7-3770, 4GB DDR3-1600 DIMM (1x4GB), 1 TB HDD 7200 SATA, DVD+/-RW, CardReader, GigEth, keyboard, mouse opt, Win 8 Pro (64-bit) + MSOf 2010 prel.St. 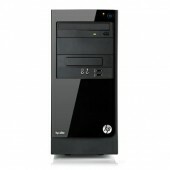 dwngrd to Win 7 Pro (64-bit), 1 (HP)..
HP 7500Elite MT Core i7-3770,8GB DDR3-1600 DIMM(2x4GB),2TB HDD 7200 SATA,DVD+/-RW,CardReader,GigEth,kbd,mouse opt,Win7Pro(64-bit)+Win8Pro(64-bit)+MSOf Trial,1-1-1 Wty (HP)..
HP 7500Elite MT Core i7-3770,16GB DDR3-1600 DIMM(4x4GB),3TB HDD 7200 SATA,DVD+/-RW,NVIDIA GeForce GT 640 4GB GFX,CardReader,GigEth,kbd,mouse opt,Win7Pro(64-bit)+Win8Pro(64-bit)+MSOf 2013 trial,1-1-1 W (HP)..